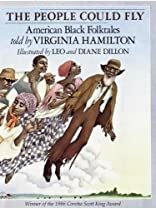 Humor, magic and mystery underscore the theme of freedom in this collection of stories drawn from the African-American folktale tradition. Renowned for her knowledge of the genre and seamless manner of delivering it, Hamilton comes together with two prize-winning illustrators to contribute yet another hardy volume. It includes gruesome, suspenseful and fanciful accounts of black history, as well as the narratives of "voices from the past," among them, Hamilton's own ancestors. Along with powerfully evocative pictures, the book has a glossary and notes on the origins and different versions of tales. The People Could Fly won the 1986 Coretta Scott King Award.